We’re looking for Zong Girls in Dallas, helping us promote Zong at the American Glass Expo at Dallas Market Center on May 4th & 5th . Looking for energetic, friendly women who are enthusiasts of 420, 710 & the counter culture industry. If your in the Dallas Forth Worth area, click the link to learn more and possibly join the Zong Girls in Dallas! 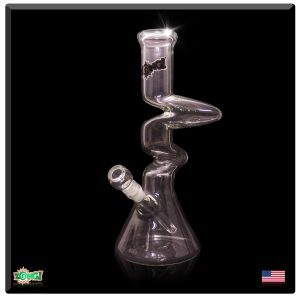 All orders are processed, produced, packaged and shipped within 30-90 business days depending on availability of your product and current pipeline of orders at Zong Glass. All orders at Zong Glass are custom, hand made in our factory by a Team Zong member. 1. Customer purchases online at ZongGlass.com and a work order is generated at the Zong factory. 2. It then takes 24-72 hours for processing of the order to go through our system, this allows us to make any changes, requests or additions to your order before it goes into production. 3. A Team Zong member then begins prepping your order and production starts within (3) business days of completion of processing. 4. Production can take anywhere from 7-84 days depending on order size, quantity, availability of product in stock and amount of customers in the pipeline. 5. After production is complete, we notify you via email with shipping and tracking information. We ship exclusively with FedEx & USPS depending on location and amount of purchase. We’ve been shipping Zong’s for over 20 years so we know a thing or two about getting your product safely to your front door! If for a reason their is a problem, please contact us at sales@zongglass.com with pictures, description of the problem and order details. We are more than happy to take back and replace broken pieces in the mail. This entry was posted in News and tagged ordering zong glass, zong glass orders, Zong Glass shipping, Zong Shipping on March 24, 2016. We are excited to launch Zong Girls, an exclusive club for ladies who love 4:20 & 7:10! We’ve got some rad water pipes, hand pipes, bubblers, hoodies, snapbacks, tshirts and lots of other goodies designed exclusively for women who like to smoke coming out this month! Happy Holidays from Zong Glass! We’ve got free shipping until Midnight EST!